All work and no play are never good for a busy executive. 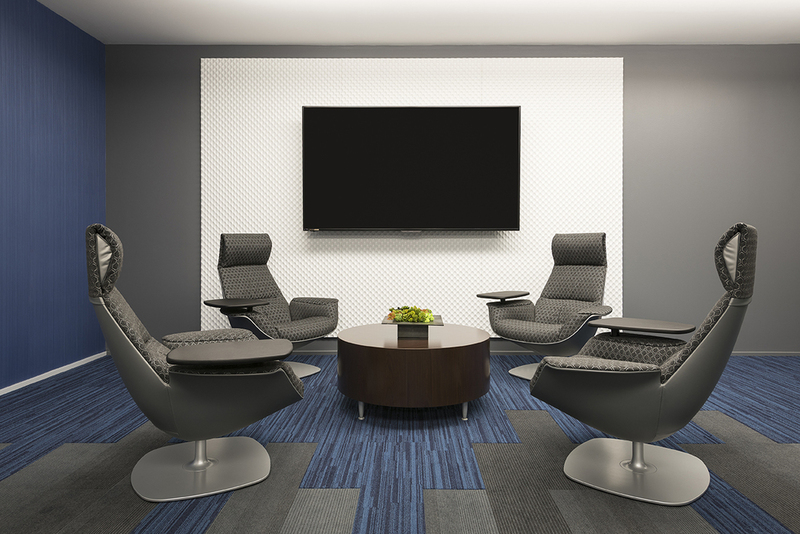 Bold graphics and lively colors help to create a high energy space for networking, camaraderie, team building and business strategy. Plus it never hurts to improve your golf score either.